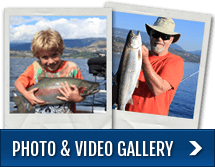 Osoyoos lake, the southernmost city in the Okanagan Valley is host to some awesome Smallmouth and Largemouth Bass and seasonal Sockeye Salmon fishing. For our Bass fishing charters we use our 14 foot Crestliner boat and can accommodate 2 anglers and your guide. For the Sockeye Salmon fishing charters we use our 22 foot Thunderjet boat that accommodates up to 6 anglers and guide. When using our Thunderjet boat there is a fuel surcharge added to the charter cost due to the distance traveled. 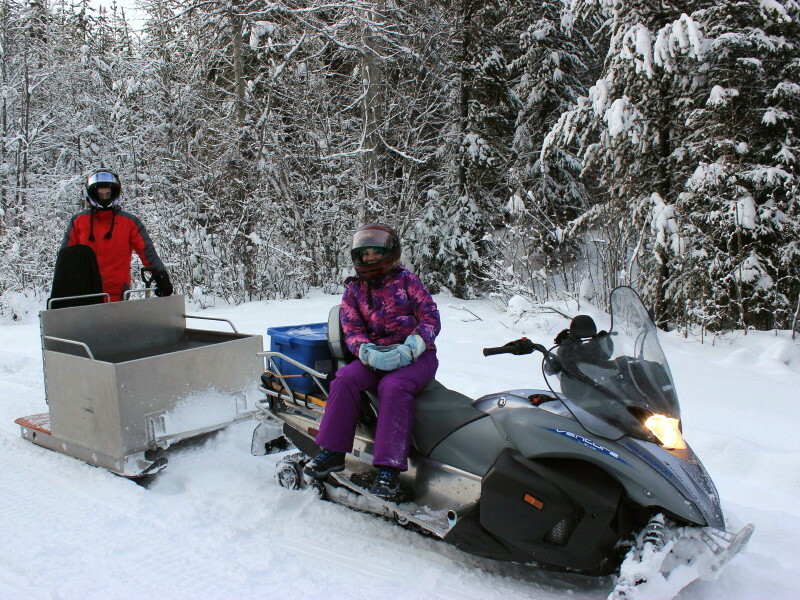 Because fuel rates vary this will be quoted to you upon booking of your trip. 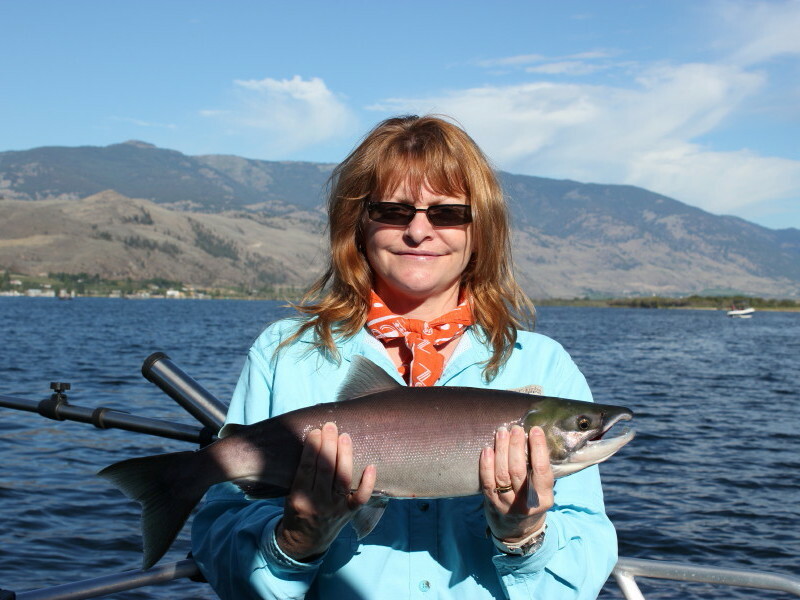 Since 2011, Osoyoos lake has experienced great numbers of returning Sockeye Salmon and consequently our Department of Fisheries and Oceans has opened a season for the sport fishing community to angle for these tasty fish. 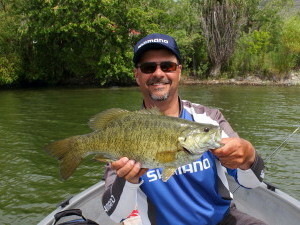 The season starts August 1st and depending on the amount of fish returning will run for 2 to 4 weeks. 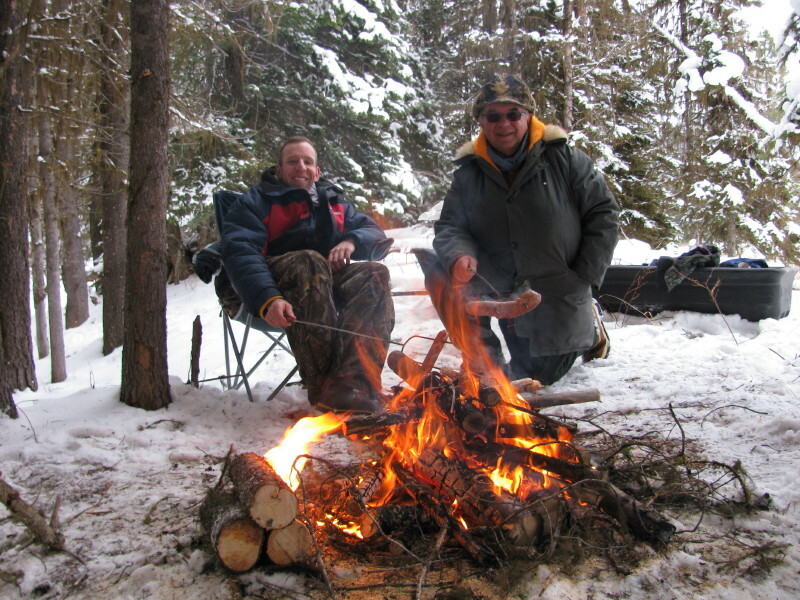 The season opening and closing dates are at the discretion of DFO and are posted annually. The limit is 2 per person and they range in size from 2 to 5 pounds. 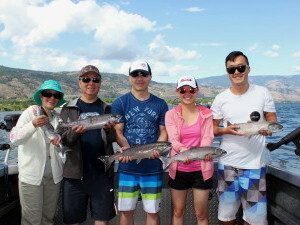 Usually the action is fast paced and booking 1/2 day charters is enough time for anglers to catch their limit of fish. 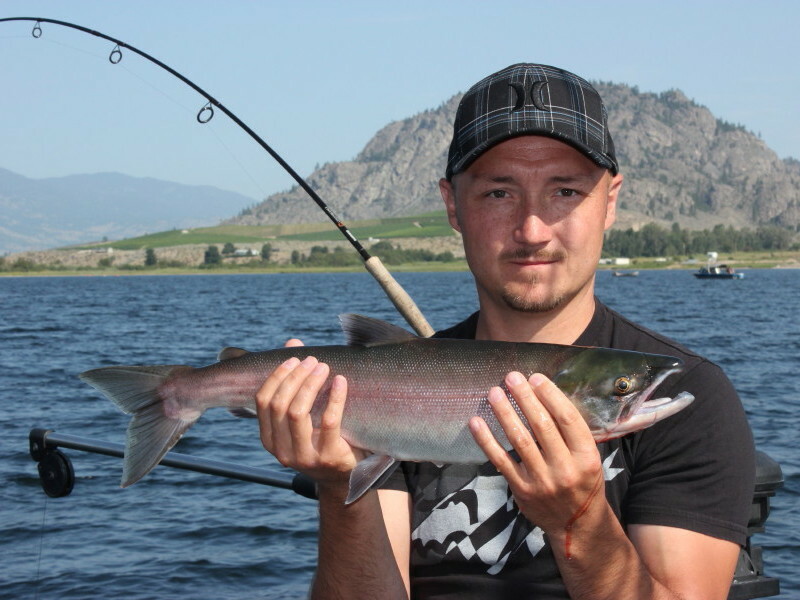 The Okanagan Nation Alliance or commonly known as ONA recognized the need for enhancement of the dwindling Sockeye stocks in 1995 and due to their studies and restoration projects have brought back the fishery to where it has now become a sustainable fishery. ONA has forecast the Sockeye return for the 2016 season to be 80,000 to 105,000 fish to the mouth of the Columbia river. This is their starting point once they leave the ocean. 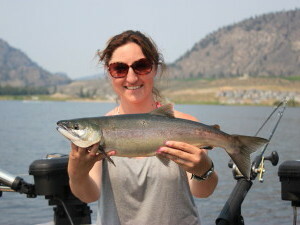 If this comes to pass we will be in for another great season of Sockeye fishing on Osoyoos lake. The 2014 season had over 200,000 returning fish and subsequently the bag limit was increased to 4 fish per angler and the season extended another 2 weeks. The 2018 forecast is looking good, fingers crossed there will be a recreational opening. Please contact us for further info regarding the 2018 Osoyoos Sockeye fishery. 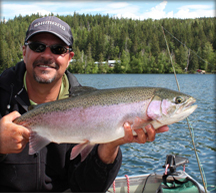 Update: A recreational fishery will be open from August 3rd to August 13th for the 2018 Sockeye Season! 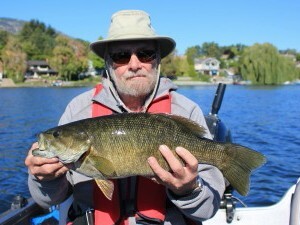 We start our Bass fishing charters in mid April through to June and again in September though to mid October. 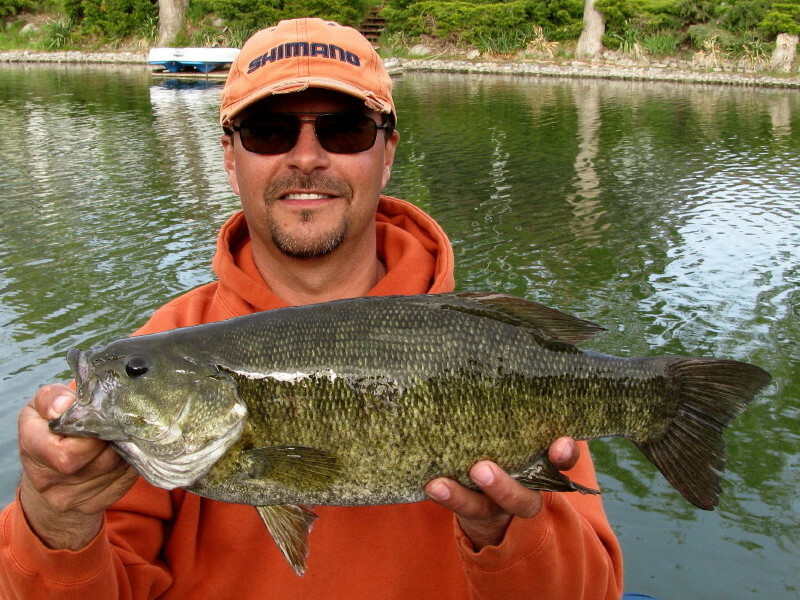 We target Bass using conventional and fly fishing equipment depending on your request. 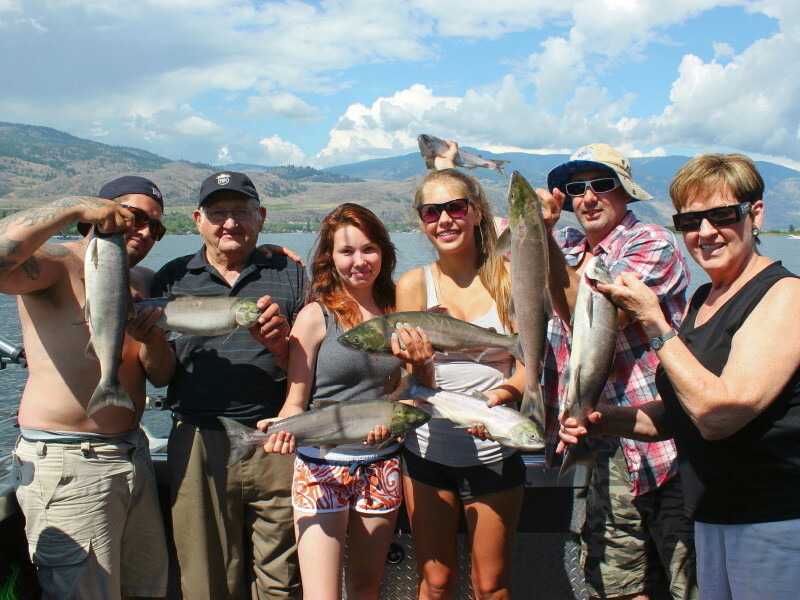 We offer full day charters on these trips and at your request can supply a box lunch. If you’ve never fished for Bass, I would encourage you to give it a try, these hard fighting fish will definitely put a smile on your face and you’ll come back wanting more!